Ellen Silverman focuses her practice in consumer litigation, both individual cases and defending class actions. She divides her practice among two distinct areas: (1) managing consumer financial services litigation for large, national banks and credit card companies across the country and (2) representing mortgage lenders and servicers in mortgage loan litigation. Ellen's experience in consumer financial services litigation is substantial, and she has defended against every type of consumer claim, including claims under the Fair Credit Reporting Act (FCRA), the Truth in Lending Act (TILA), the Fair Debt Collection Practices Act (FDCPA) and the Telephone Consumer Protection Act (TCPA), as well as state consumer protection laws — both individual claims and class actions. Ellen has broad and significant experience representing mortgage lenders and servicers in claims involving residential mortgage loan origination, transfers and assignments, and foreclosure in Minnesota state and federal courts. These matters include cases arising from allegations of mortgage fraud, predatory lending, and violations of consumer protection statutes such as TILA, RESPA, HOEPA, HPA, and FCRA. Ellen is the former Chair of the firm's Consumer Financial Services Practice Group. She joined Hinshaw & Culbertson LLP in April 2012. Previously she was special counsel for five years with Faegre Baker Daniels LLP in Minneapolis. Ellen began her legal career in 1989 as a real estate associate and litigation associate at Dewey & LeBoeuf. In 1994 she moved to Day Pitney (in Morristown, New Jersey) where she remained for three years. In 2004, Ellen joined the Law Offices of Amy Beretta, in Warwick, Rhode Island, where she remained until 2006. Schulz v. Wells Fargo Bank, N.A., Civ. No. 12-cv-2147 (JNE/JSM) (D. Minn. Dec. 17, 2012. Obtained dismissal of wrongful foreclosure, Minnesota Consumer Fraud claims. Nelson v. Wells Fargo Bank, N.A., Civ. No. 11-cv-3403 (PJS/TNL) (D. Minn. March 11, 2013). Granted summary judgment on fraud, negligent misrepresentation and promissory estoppel claims. U.S. Bank, National Association v. Shane B. Uglem, A12-1323 (Minn. Court Appeals, April 3, 2013). Successfully defended appeal of summary judgment in foreclosure action. Scott v. Wells Fargo Bank, N.A., Civ. No. 10-3368 (MJD/SER), U.S. Dist. LEXIS 97301 at *21 (D. Minn. Aug. 27, 2011). Obtained complete summary judgment on fraud claims in connection with alleged wrongful foreclosure. Tacheny v. M & I Marshall & Illsley Bank, 2011 WL 1657877 (PJS/JJK) (D. Minn. April 29, 2011). Obtained dismissal of TILA claims. Franz v. BAC Home Loan Servicing, LLP, Civ. No. 10-2025 (DWF/FLN) (D. Minn. March 8, 2011). Obtained dismissal of TILA and Real Estate Settlement Procedures Act (RESPA) claims. Capital One Bank v. Hall, 247 P. 3d 234 (Kan. App. Feb. 25, 2011). Successfully defended partial summary judgment in consumer fraud action. 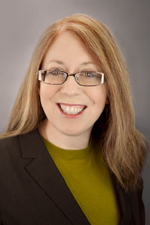 Ellen Silverman Profiled in Hennepin Lawyer Article "Farm Team or Football? Mega Law Moves to Minnesota"